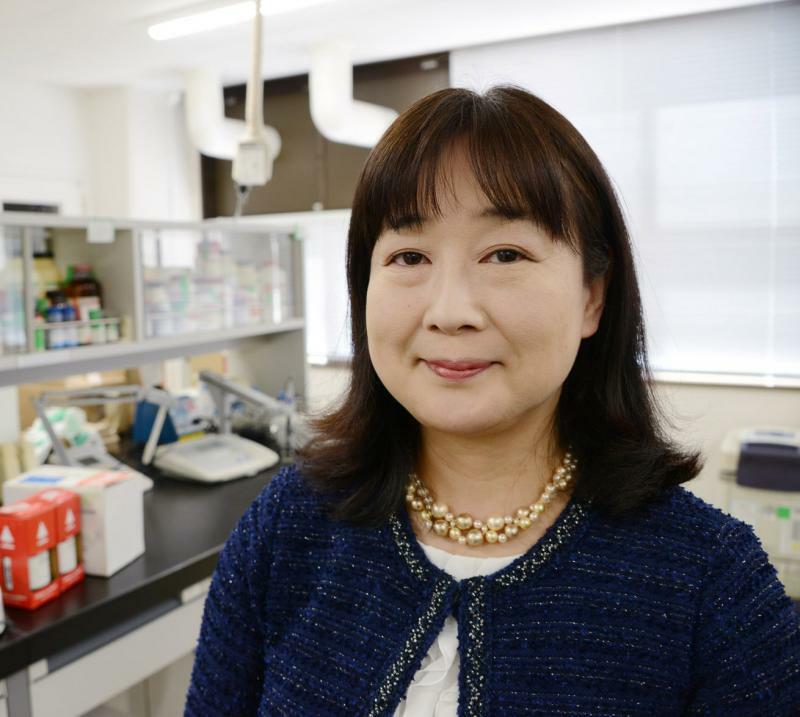 Le professeur Hiroko Isoda dirige le « School of Integrative and Global Majors (SIGMA)” qui regroupe des chercheurs et étudiants autour de la thématique de la Fonctionnalité des aliments et des produits naturels et du Drug Discovery en particulier dans l'induction de la différenciation Cellulaire : Neuronales cancéreuses et des cellules souches. Ses travaux de recherches s’intéressent plus particulièrement à la valorisation des bio-ressources dans la région méditerranéenne. Caffeoylquinic acid (CQA) derivatives are polyphenolic compounds found in wide variety of plants. Previously, we have demonstrated that di- CQA and tri- CQA had neuroprotective effect through their ability to promote intracellular adenosine-5’- triphosphate (ATP) generation and by up-regulation of glycolytic enzyme expression. In the present study we have investigated the effect of di- CQA and tri- CQA on energy metabolism in SH-SY5Y cells using a metabolomics approach. Results indicate that di- CQA treatment of SH-SY5Ycells signiﬁcantly increases the production of an array of glycolysis metabolites and tricarboxylic acid (TCA) cycle metabolites, including acetyl-CoA, succinic acid, fumaric acid, and malic acid. Tri-CQA treatment was also observed to increase the levels of all glycolysis and TCA cycle metabolites and evoked a stronger effect than that of di-CQA. In addition to their effects on glycolytic metabolites, di-CQA and tri-CQA exposure also induced a signiﬁcant increase in the production of ATP, ADP, GTP, and GDP. Our results suggest that CQA-induction of intracellular ATP synthesis is mediated by the activation of central metabolic pathways including the activation of glycolysis and the TCA cycle. Based on those data, we performed Morris water maze test on CQAs fed SAMP-8 aging model mice and proteomics analysis of brains. CQAs improved spatial learning memory of SAMP-8 mice and enhance the biomarker expression of neurogenesis, neuroplasticity and energy metabolism in those mice brain (Neuroscience 2010, 169,1039-45). The erythroid differentiation-inducing effect of apigenin and its derivatives on human chronic myeloid leukemia K562 has been reported but the functional group in its structure responsible for the effect has not yet been elucidated. Here, we determined the moiety responsible for the erythroid differentiation induction effect of apigenin by using different flavonoids to represent the functional groups in its structure. In addition, we compared apigenin and apigetrin, a flavonoid similar in structure to apigenin except for the glycoside in its structure. Morphological changes as well as expressions of specific markers in K562 cells treated with apigenin were compared with those treated with apigetrin, flavone, 7-hydroxyflavone, chrysin, luteolin, or naringenin. The anti-proliferative and erythroid differentiation-inducing effect of apigenin and the five flavonoids were then investigated and their effects on the α, β, and γ globin genes expressions were compared using real-time PCR. Results of the comparison between apigenin and apigetrin revealed that the glycoside part of apigetrin does not have a role in the induction of cell differentiation. Based on glycophorin A expression, the potency of the other flavonoids for induction of differentiation, was: apigenin > chrysin > flavone/7-hydroxyflavone > luteolin/naringenin. Results of the analysis of the relationship between the structure and function of the flavonoids suggest that the apigenin-induced K562 cell differentiation was due to the 2–3 double bond and hydroxyl groups in its structure. This is the first study that identified the specific functional group in apigenin that impact the erythroid differentiation effect in K562 cells (Mol Nutr Food Res. 2011, 55, 93-102, See comment in PubMed Commons belowChem Biol Interact.2014, 220, 269-277). Olive leaf components apigenin 7-glucoside and luteolin 7-glucoside direct human hematopoietic stem cell differentiation towards erythroid lineage. Imen Samet; Myra O. Villareal; Hideko Motojima; Junkyu Han; Sami Sayadi; Hiroko Isoda. Differentiation Vol. 89, 146-155, 2015. Cyanidin-3-glucoside derived from black soybeans ameliorate type 2 diabetes through the induction of differentiation of preadipocytes into smaller and insulin-sensitive adipocytes. Toshiya Matsukawa; Tetsuya Inaguma; Junkyu Han; Myra O. Villareal; Hiroko Isoda, Journal of Nutritional Biochemistry, Vol. 26, 860-867, 2015. Antidepressant-like effects of rosmarinic acid through mitogen-activated protein kinase phosphatase-1 and brain-derived neurotrophic factor modulationShinji Kondo; Abdelfatteh El Omri; Junkyu Han; Isoda Hiroko, Journal of Functional Foods, Vol. 14, 758-766, 2015.